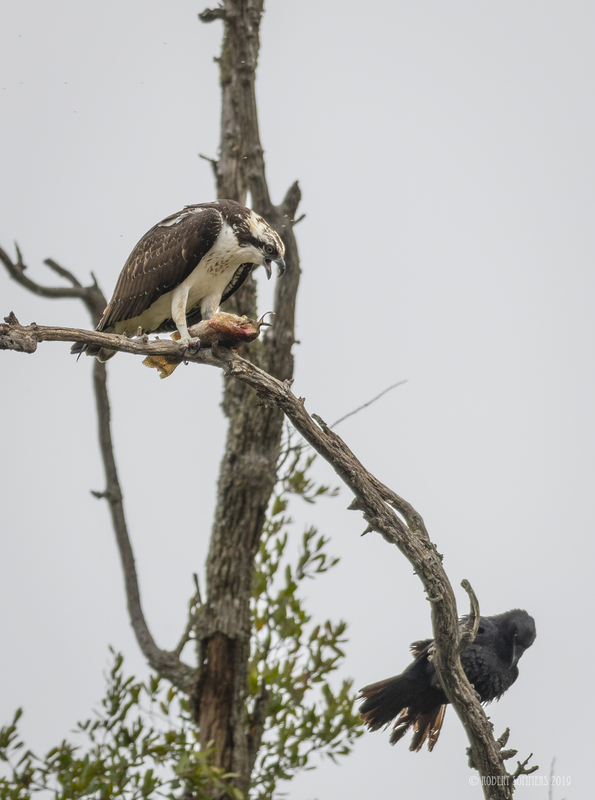 As I said, I saw an osprey sitting in a dead tree eating what appears to be a carp on the way home from work yesterday afternoon. I guess it's a carp, I don't know. I'm sorry, it was a little chewed up by that time. 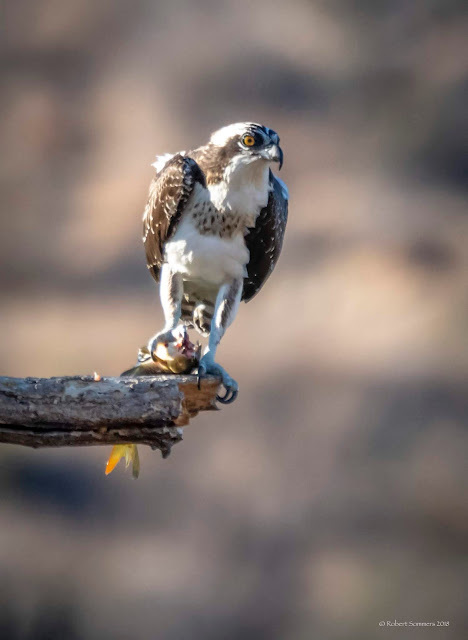 In any case, I am a sucker for this kind of thing, loving ospreys and all things raptor. I just happened to have a camera next to me. But I made a stupid error with my equipment. Somehow I misread my iso settings or had them on auto-iso and I got way too much noise. Up around 1250. Serviceable but not perfect, even in the late afternoon. Shots were salvageable but could have been much better if I had caught it at the time. Oh well. Win some, lose some. 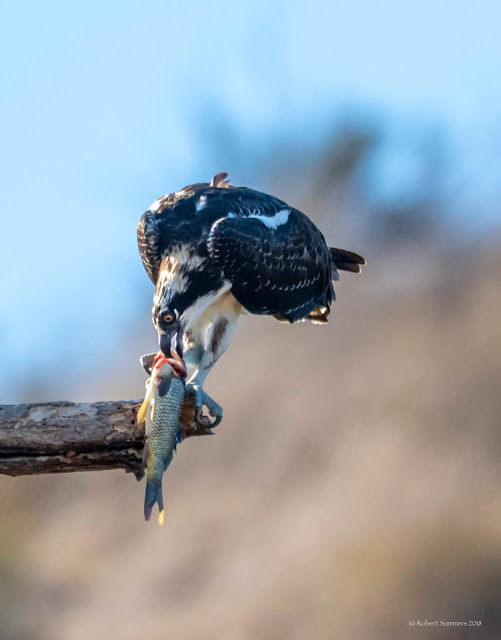 The osprey is a unique raptor, the only bird with oily feathers. 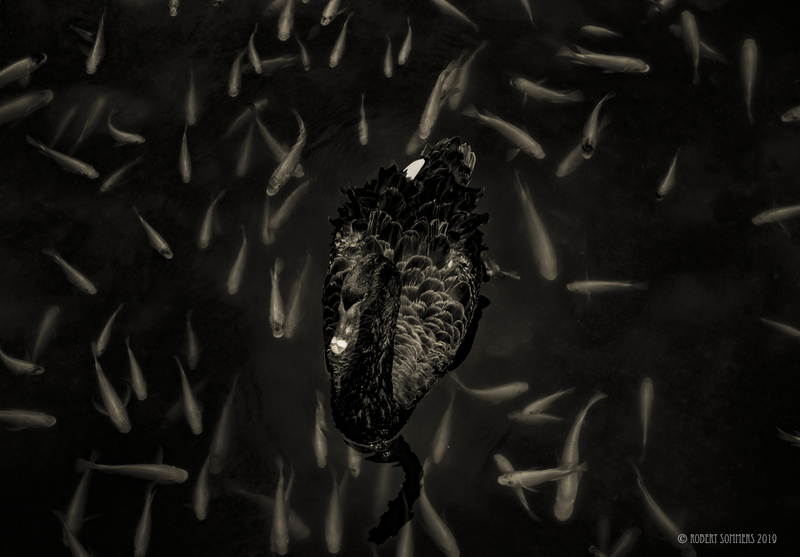 It feeds almost exclusively on fish. It is also sometimes called the fish eagle, the sea eagle and the river eagle. It diverged from eagles and hawks tens of millions of years ago, it is unique to its singular evolutionary line. It actually has its own taxonomic genus, Pandion and family, Pandionidae. 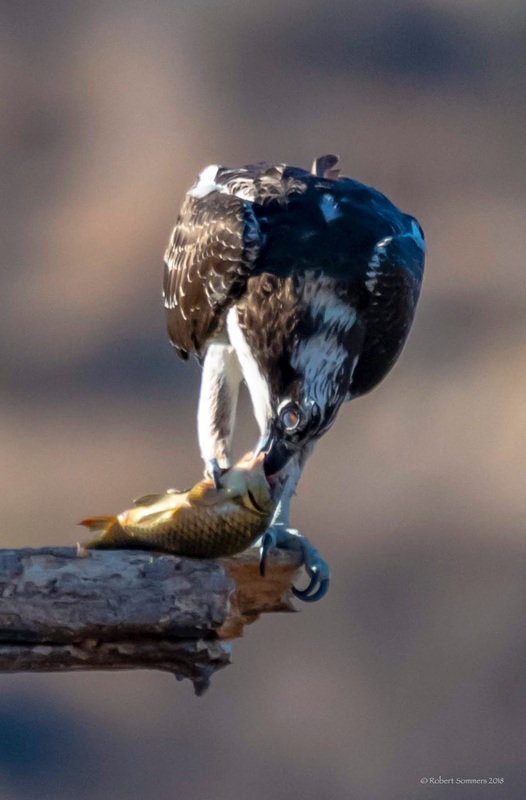 There are four recognized subspecies of osprey. Its talons are rounded rather than grooved and its outer toe is reversible, like an owl's. 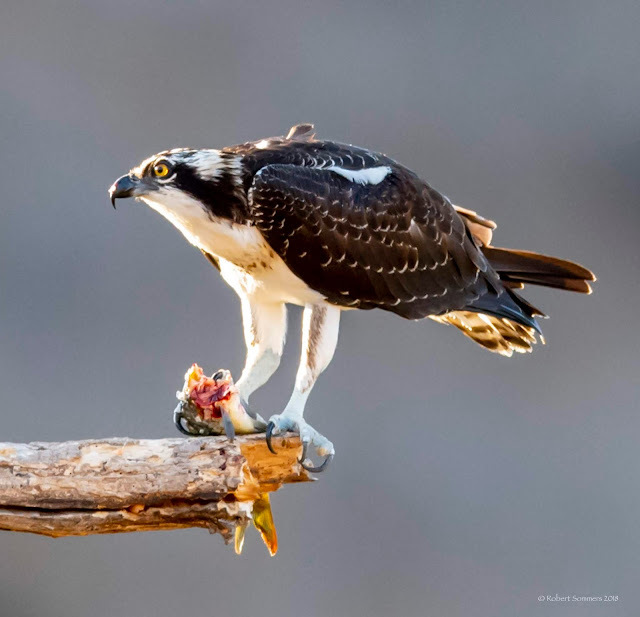 In ancient buddhism, this regal raptor was sometimes named "the king of birds." Thanks to you, I know that that's the nictating membrane of the bird's eye in the last photo. The first photo is my favorite. What a magnificent creature.